FireGuard is your qualified and certified One Call One Source for Fire Door Inspections. NFPA 80/101/105 requires fire-rated doors to be tested no less than annually, and a written record kept on file for the Authority Having Jurisdiction (AHJ). 1. Labels are clearly visible and legible. 2. No open holes or breaks exist in surfaces of either the door or frame. 3. Glazing, vision light frames, and glazing beads are intact and securely fastened in place, if so equipped. 4. The door, frame, hinges, hardware, and noncombustible threshold are secured, aligned, and in working order with no visible signs of damage. 5. No parts are missing or broken. 6. Door clearances at the door edge to the frame, on the pull side of the door, do not exceed clearances listed in 4.8.4 and 6.3.1.7 Bottom Max 3/4″ (19mm) 3/8″ (9.5mm) for 38″ above floor, Wood Top & Sides Max 1/8″ (3/18mm), Steel Top & Sides & ME Pairs 1/16-3/16″ (1.59-4.76mm). 7. 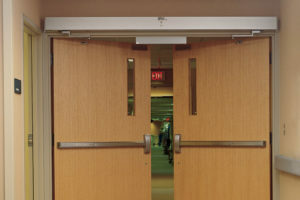 The self-closing device is operational, that is, the active door completely closes when operated from the full open position. 8. If a coordinator is installed, the inactive leaf closes before active leaf. 9. Latching hardware operates and secures the door when it is in the closed position. 10. Auxiliary hardware items that interfere or prohibit operation are not installed on the door or frame. 11. No field modifications to the door assembly have been performed that void the label. 12. Gasketing and edge seals, where required, are inspected to verify their presence and integrity. 13. Signage affixed to a door meets the requirements listed in 4.1.4; check area less than 5%, the means of attachment is adhesive not mechanical, is not on glazing, and does not impair door assembly operation. NFPA 80 now requires the individual responsible for inspecting fire-rated doors to have knowledge and understanding of the operating components of the door being inspected. Unless the Authorities Having Jurisdiction develop their own specified criteria, they may want to know how you determined that the designated individual is knowledgeable and understanding on door operations. FireGuard is your qualified and certified One Call One Source for Fire Door Inspections. We will ensure your fire doors are maintained, inspected by a qualified technician, and will work properly to keep you safe. 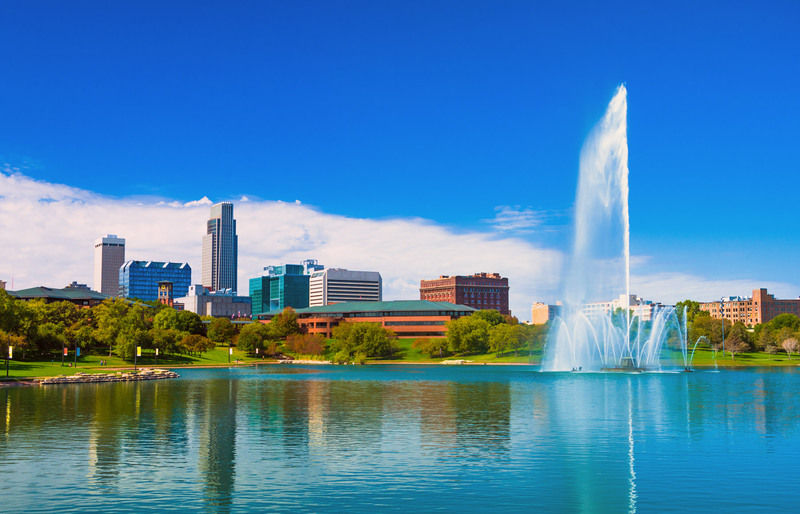 For more information, please call us at 402-592-1999.